Sometimes our lives are way to busy to prepare an entire meal when coming home from work. This recipe takes two minutes to prep in your slow cooker or crock pot. When you come home from work….shred the chicken for simple meals, like tacos, Mexican salad, or chicken and rice, quinoa or beans. To help balance your meals, add veggies and avocado. 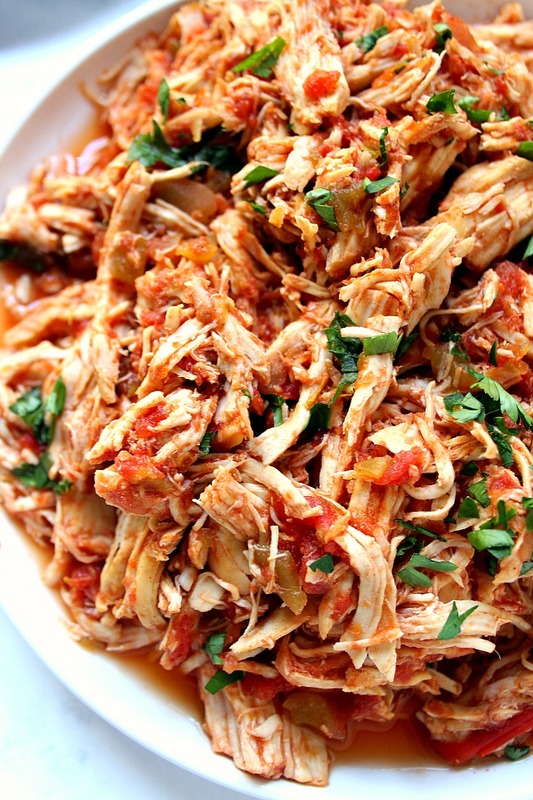 Dump ingredients into your slow cooker and cook on high for 4 to 6 hours, or on low all day.